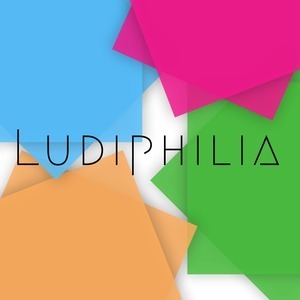 16 episodes of Ludiphilia since the first episode, which aired on October 2nd, 2015. An experimental piece on a travel experience of mine last year. I went to Singapore for a week with my fiancée in July and was surprised to find lots of playful touches, despite — or maybe because of — the reputation it has for law and order. And I thought it'd be nice to put together a sort of part travelogue, part essay thing about it. You can find an accompanying photo essay for this story at ludiphilia.net/singaporephotos. Geographer Chris Perkins, co-author of the book Playful Mapping in the Digital Age, shares his love of maps and helps me explore the deep connection between mapping and play. In celebration of the release of a Mac version of the award-winning app Earth Primer — a science book for playful people — I thought it'd be nice to dig out the segment I did with its creator, Chaim Gingold, back in episode 1, and clean it up for re-release. I know I said I'd have a new episode out in February, and now we're in the second half of March. There's a reason for that. Here's a quick rundown of what's been happening behind the scenes (spoiler: it's mostly down to Apple being difficult). On the eve of the Industrial Revolution and the morn of the English Civil War, one man reinvented educational thought. When Alex Boz dug his Commodore 64 out of storage, he was transported instantly back to his childhood, and that set him on the path to rediscover a lost passion and find a community he could call home. How brothers Rand and Robyn Miller built worlds from a manhole. SimCity is a wonderful simulation of the urban machinery around us, and a playground for messing with our cities. But it turns out the original game, at least, doesn't actually work the way it seems. On Portuguese writer Fernando Pessoa and the playful freedom of creating as someone else — someone distinct, and unique, but non-existent. (Now with fixed audio levels) Mercy - A devoted wrestling fan hacks and modifies an old Nintendo 64 game called WWF No Mercy to help deal with the pain of his shattered dream, and gets more out of it than he'd bargained for.